Jenny Kane - jkane@shawmedia.com Tammy McDonnell, employee at Camp Bow Wow, brings her dog, Gypsy, to work three times a week. Gypsy gained weight after having under went leg surgery and later diagnosed with heart worms and received treatment. Gypsy sheds the weight by playing and exercising at the camp. 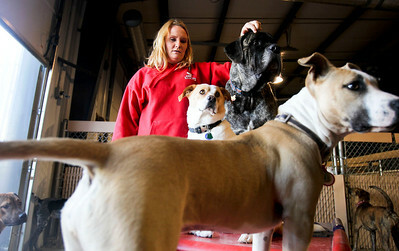 Jenny Kane - jkane@shawmedia.com Tammy McDonnell, employee at Camp Bow Wow, watches her dog Gypsy play with the other dogs. McDonnell brings her dog to work three times a week. Gypsy gained weight after having under went leg surgery and later diagnosed with heart worms and received treatment. Gypsy sheds the weight by playing and exercising at the camp. Jenny Kane - jkane@shawmedia.com Tammy McDonnell plays with Gypsy and other dogs using her shadow during play time at Camp Bow Wow. Jenny Kane - jkane@shawmedia.com Tammy McDonnell, employee at Camp Bow Wow, fills the dog's water dish. 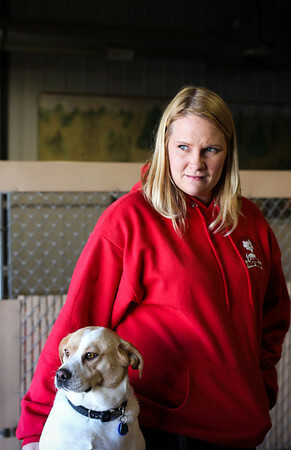 McDonnell brings her dog, Gypsy, to work three times a week. Jenny Kane - jkane@shawmedia.com Tammy McDonnell, employee at Camp Bow Wow, brings her dog, Gypsy, to work three times a week. Gypsy gained weight after having under went leg surgery and later diagnosed with heart worms and received treatment for them. Gypsy sheds the weight by playing and exercising at the camp. 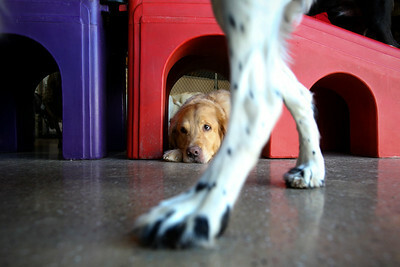 Jenny Kane - jkane@shawmedia.com Sammi, a golden retriever rests under a play structure while other dogs run and play at Camp Bow Wow. 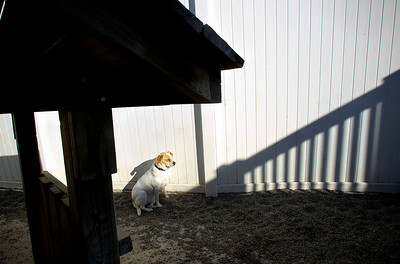 Jenny Kane - jkane@shawmedia.com Gypsy sits alone in the sun at Camp Bow Wow in McHenry. 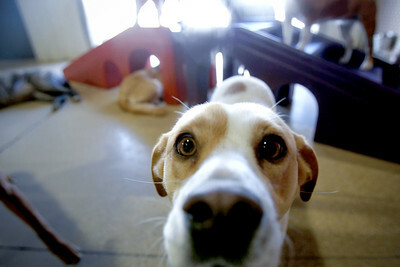 Jenny Kane - jkane@shawmedia.com Gypsy sniffs Gater during play time at Camp Bow Wow in McHenry. 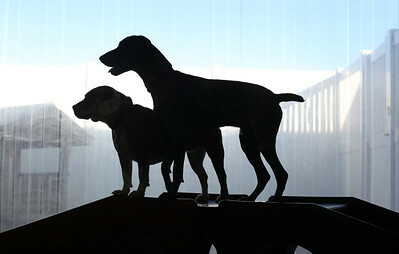 Jenny Kane - jkane@shawmedia.com Molly and Pepe stand together on a piece of exercise equipment during play time at Camp Bow Wow in McHenry. Jenny Kane - jkane@shawmedia.com Tammy McDonnell, employee at Camp Bow Wow, pets Gater during play time. Gypsy sits alone in the sun at Camp Bow Wow in McHenry.